Sweeney Entertainments present THINK FLOYD - Live in Concert The 2017 Tour Celebrating 50 years of Pink Floyd’s music. the legendary sound of Pink Floyd live on stage, it’s no wonder they are regarded as the Definitive Pink Floyd Experience. Starting with the 1967 classic The Piper at the Gates of Dawn, through Dark Side of the Moon and Wish You Were Here, to the band’s final release in 2014: The Endless River. The production is backed by an impressive laser light show and a dedicated team of sound and lighting engineers, together with the sheer energy of the band, this promises a first-class evening of pure Pink Floyd. Celebrating the 50th anniversary of Pink Floyd's first release, Think Floyd's brand new production for 2017 features music from all 15 Pink Floyd albums. From The Piper at the Gates of Dawn, through Dark Side of the Moon and Wish You Were Here, to The Endless River. 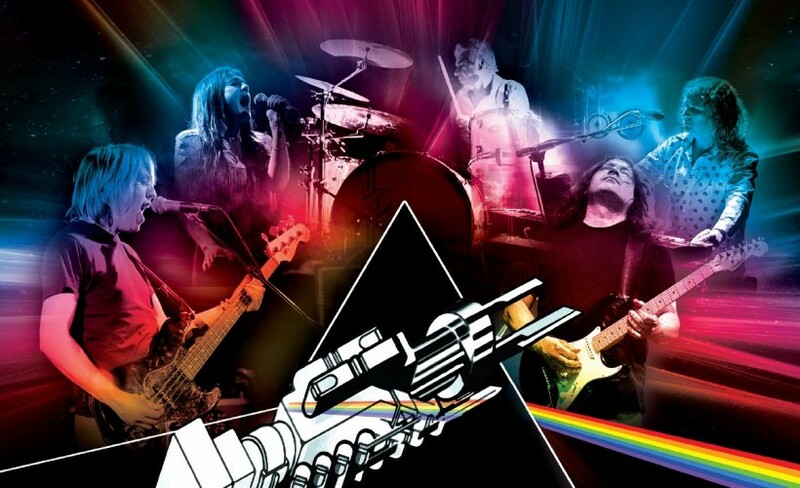 The production is backed by an impressive laser light show and a dedicated team of sound and lighting engineers, and with over 20 years experience faithfully recreating the legendary sound of Pink Floyd live on stage, it’s no wonder Think Floyd are regarded as the Definitive Pink Floyd Experience.